PencilPoint Pig Party— Hot off the heels of Emily’s “Business Pig” from last week’s Live Sketch, Chef Miker continues with the theme. He tries his hand at a silly scribble and draws a happy little warthog. He draws his crazy creature under the watchful eye of Pumbaa at Disney’s Art of Animation resort. 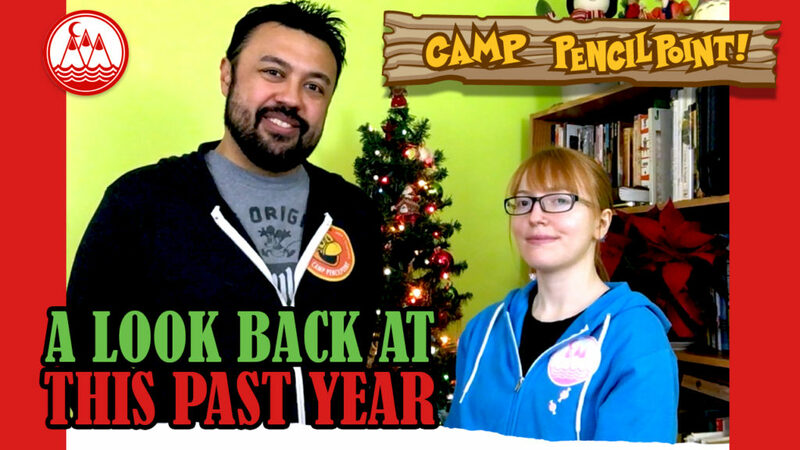 This video is a Live Sketch Challenge and Chef Miker draws his character from Joe Foo’s blind scribble. It is a fun yet challenging drawing game, and we encourage you to draw along! 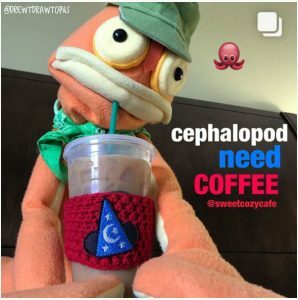 We would love for you create some characters along with us! 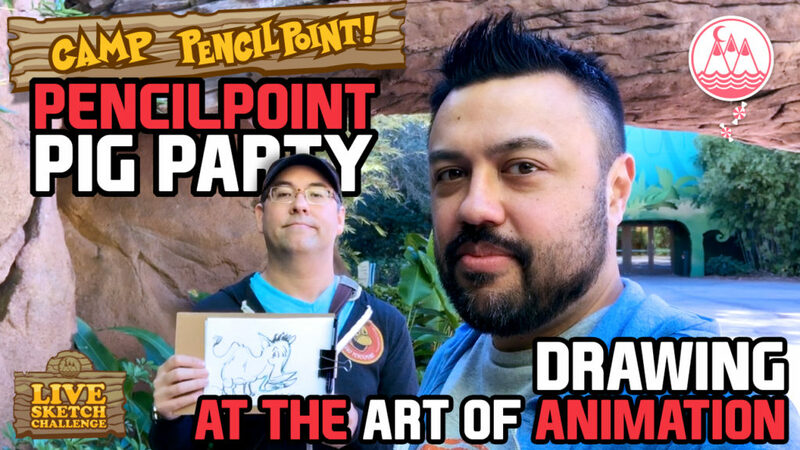 If we find your art on social media, you can earn your digital badge to the PencilPoint Pig Party! Octopus House Activity— Welcome in a new year of fun and creativity! 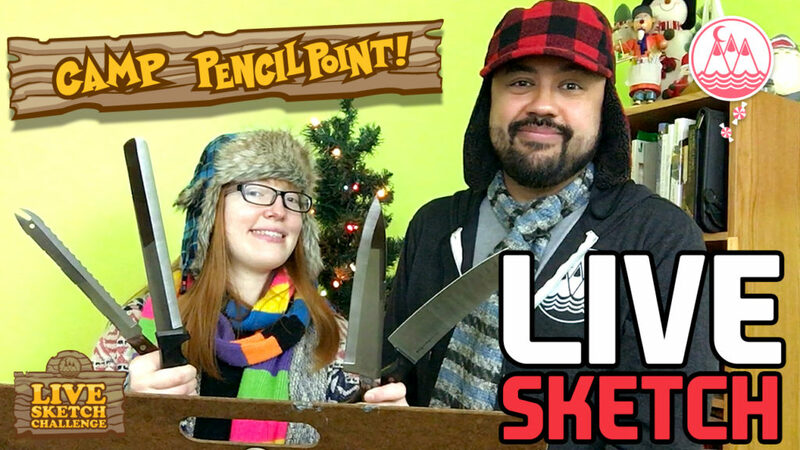 Join Joe Foo and Emily as they draw a cute character in this Live Sketch! 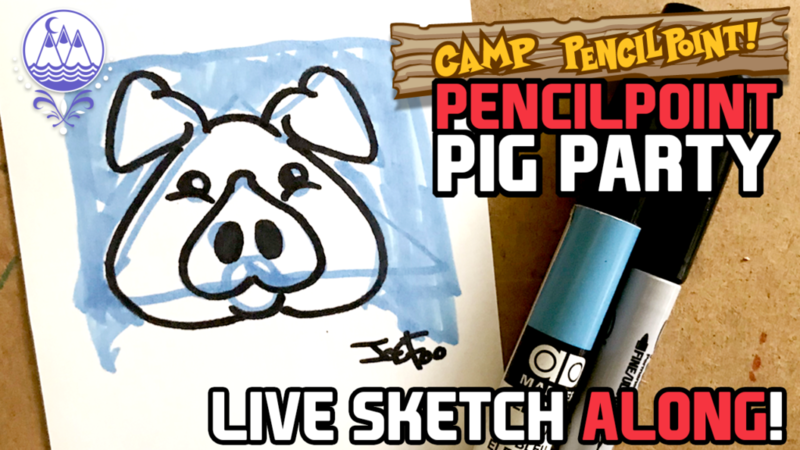 Streamed live on January 3rd, Emily sketches a business pig. What character would you draw to start this year off? Would it be a jolly swine to usher in the Year of the Pig? Or would you draw a different creature? Sketch along with us! And don’t worry… knives were not used in this video.